Do you love poetry? Harness your creative muse and turn it into money for college. While the availability of poetry scholarships doesn't exactly abound, if you like writing poetry, try your hand at winning something that will help pay for your schooling. If you win, you can add it to your professional writing portfolio. From prizes for a poet's collected work to contests devoted to a specific topic or theme, writers can take advantage of a wide range of scholarship opportunities. Ruth Lilly Poetry Fellowships offer $15,000 to talented poets. 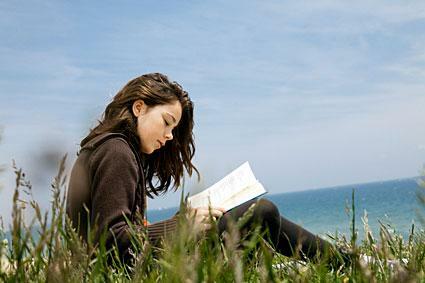 The scholarship is meant to help the student further his or her poetic studies and writing. The Scholastic Art & Writing Awards aim to recognize gifted young writers. Graduating seniors are eligible for $10,000 grants in addition to more than $3 million in scholarship funds at individual schools. In the poetry category, students may submit a single poem or a collection for judging. Song lyrics are also eligible for consideration. Although the Writers' Conferences & Centers Scholarship Competition does not offer poetry scholarships for college tuition, it does provide funds for professional development. Creative writing students are eligible to win one of two $500 scholarships towards the cost of attending any member program. These options encompass dozens of conferences, retreats, and festivals across the United States and around the world. The Live Poets Society of New Jersey sponsors a poetry contest for high school students, with winners receiving scholarships that range from $100 to $2500. The organization also publishes an annual anthology featuring the top poems. At Illinois State University, the William Morgan Poetry Award recognizes excellent undergraduate and graduate poets and poetry scholars. Students at UC Berkeley have the opportunity to apply for the Dorothy Rosenberg Memorial Prize in Lyric Poetry as well as several other scholarship or awards programs for poets. Check with your school's English Department, Writing Center, College of Arts and Letters, or other relevant division for additional opportunities. Don't forget to check for local sources of financial aid. For instance, the Community Foundation of Lorain County sponsors the Helen Steiner Rice Scholarship for creative writing students in this Ohio county. Local writing groups or literary publications may be another source of poetry scholarships. The Anna Davidson Rosenberg Award for poetry about the Jewish experience is sponsored by her family and the Judah L. Magnes Museum. Cash prizes are awarded for first and second place as well as an honorable mention category and total about $3,000. Some poetry scholarships are offered as part of contests that exist solely to sell published anthologies and other commemorative items to contestants. Be cautious of competitions that offer expensive products and invite you to partake in costly award ceremonies. Poetry contests sometimes require an application fee, and this is an established practice to help cover the costs of administering the competition. However, before submitting money to an unknown group, look into the contest's sponsors and history. A bit of research should help you avoid scams and devote your application time to reputable competitions. While you may or may not be the next Shakespeare or Sylvia Plath, you can make paying for your college education much simpler by applying for as many poetry scholarships as possible. If you win just one, you have found a way to turn your talent into much-needed financial aid.